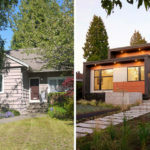 Renovating an existing house can be a rewarding way to get the home of your dreams without having to build a completely new house. 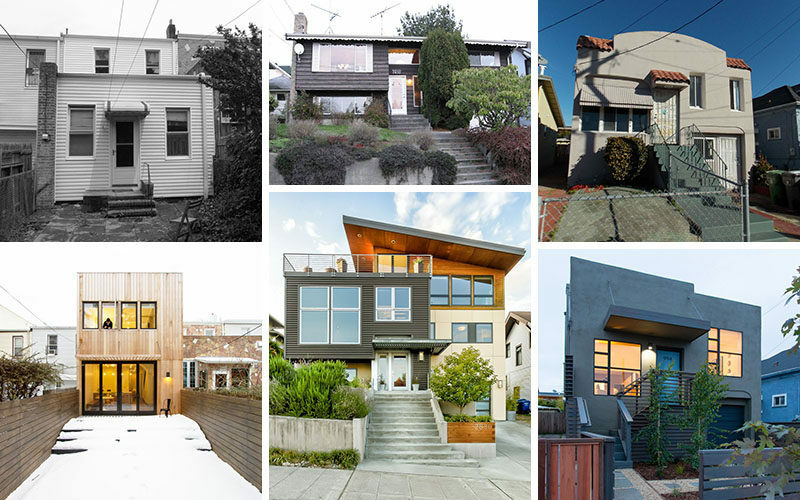 Here are 16 examples of home that underwent renovations and conversions to become contemporary homes that stand out on their street. 1. 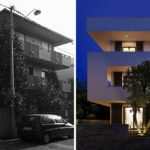 This multi-story building in Italy was redesigned to become a contemporary family home. See more photos of this home, here. Designed by ArchiNow! Photography by Daniele Domenicali. 2. 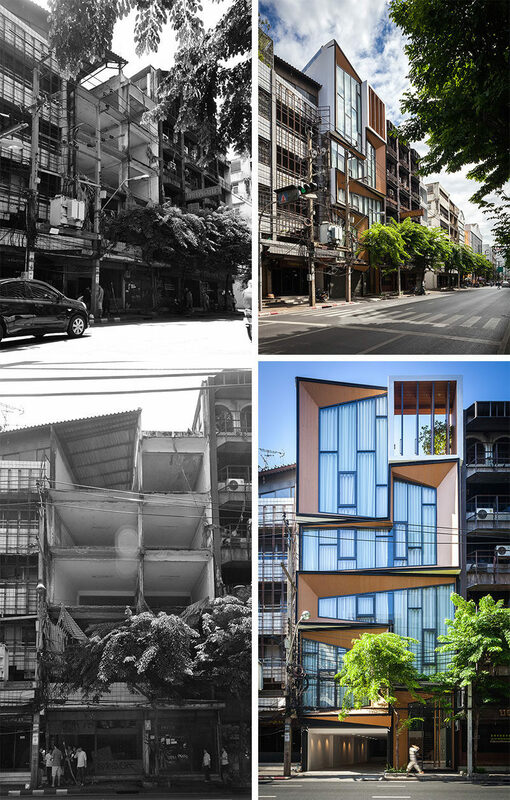 Once a dilapidated commercial space, this multi-level building in Bangkok, Thailand, became a contemporary family home, with space for the family business on the ground level. See more photos of this home, here. Designed by IDIN Architects. Photography by Spaceshift. 3. This old Brooklyn row home underwent a contemporary transformation that added an extra level, and replaced outdated white siding with light toned strips of wood. See more photos of this home, here. Designed by Office of Architecture. Photography by Ben Anderson. 4. 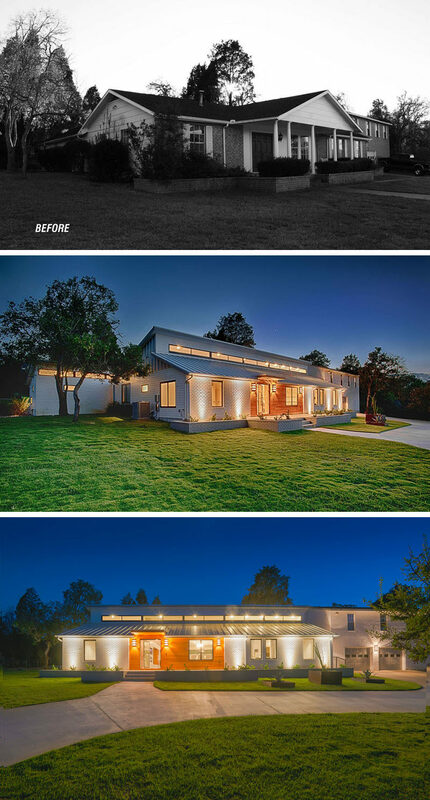 This single level home in Texas was renovated into a light-filled contemporary house with plenty of exterior lighting and touches of wood. See more photos of this home, here. Designed by MF Architecture. Photography by Bryant Hill. 5. 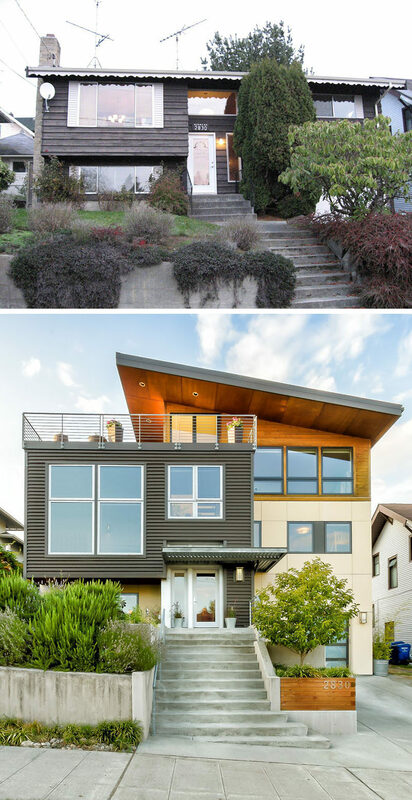 This split-level Seattle home was completely transformed with sleek metal siding, a wood extension, and a rooftop patio. See more photos of this home, here. Designed by Grouparchitect. Photography by Chad Savaikie. 6. What was once a detached stable and garage, has been transformed into a studio space with a kitchen and bedroom. 7. 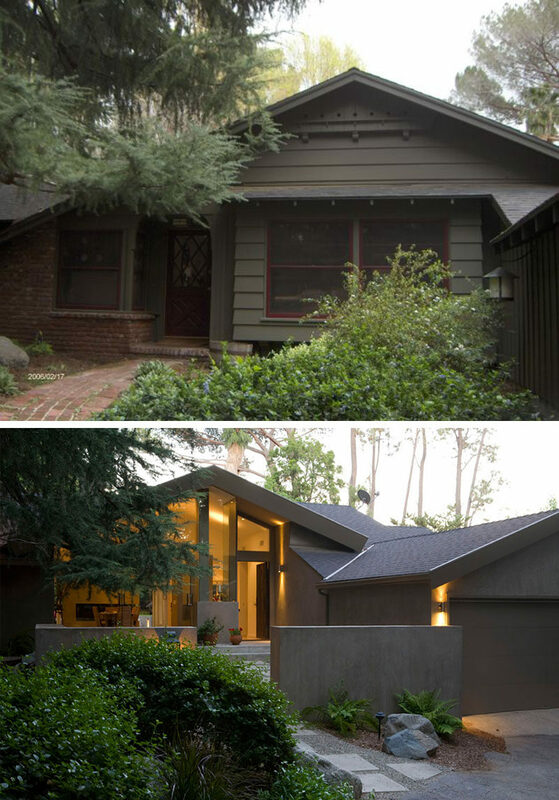 This old Spanish Style house in Oakland, California, was renovated into a contemporary house with curb appeal. See more photos of this home, here. Designed by Baran Studio. Photography by Peter Lyons. 8. 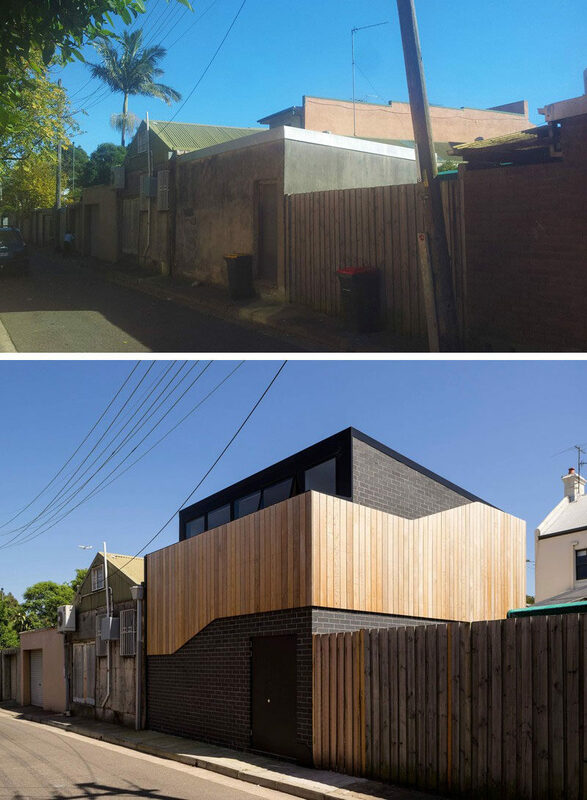 This contemporary remodel transformed an old shed into an art studio and home office in the backyard of a house in Sydney, Australia. See more photos of this home, here. Designed by Pivot Studio. Photography by Justin Alexander. 9. An old home in East Hampton, New York was updated with lots of windows and turned into a modern home that takes advantage of the beautiful landscape around it. See more photos of this house, here. Designed by Robert Young. Photography by Frank Oudeman. 10. 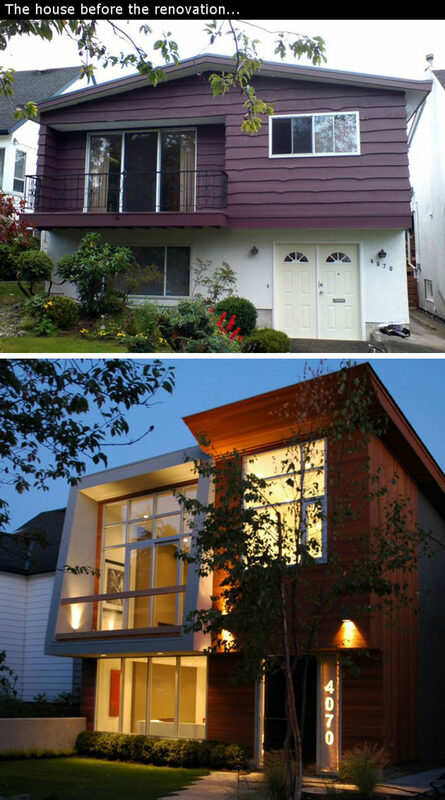 This 1960’s “Vancouver Special” house in Vancouver’s Dunbar neighborhood received a complete redesign. See more photos of this house, here. 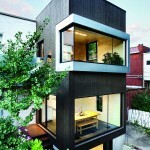 Designed by Iconstrux Architecture. 11. 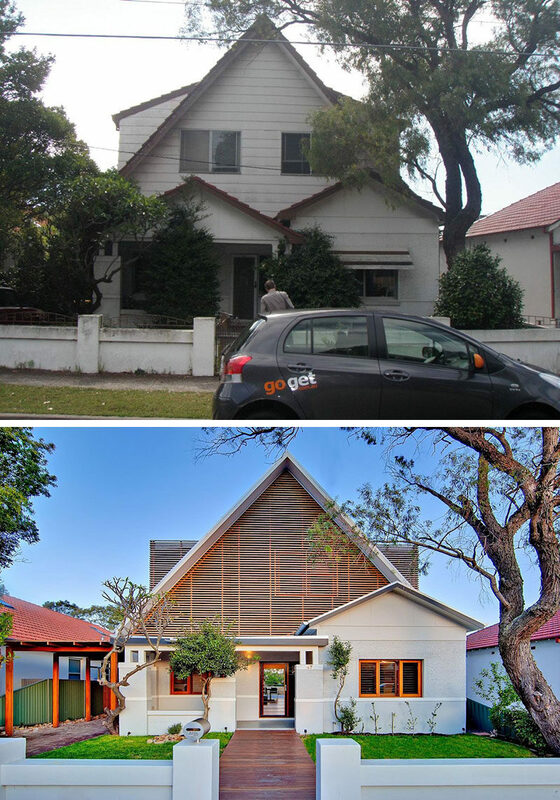 An old 1920s home in Sydney, Australia, was given an entirely new look while still maintaining the original structure. See more photos of this house, here. Designed by CplusC Architectural Workshop. Photography by Michael Lassman. 12. 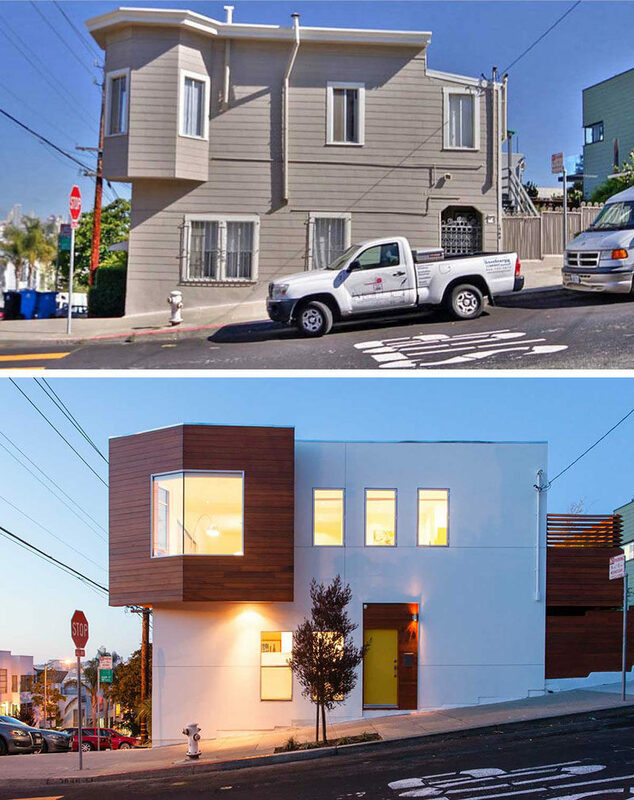 This existing duplex in San Francisco was transformed into a modern house with a more angular design. See more photos of this house, here. Designed by Baran Studio Architecture. 13. This single level ranch style home got a facelift and a contemporary expansion that let it keep its ranch feel while also adding a modern touch. 14. 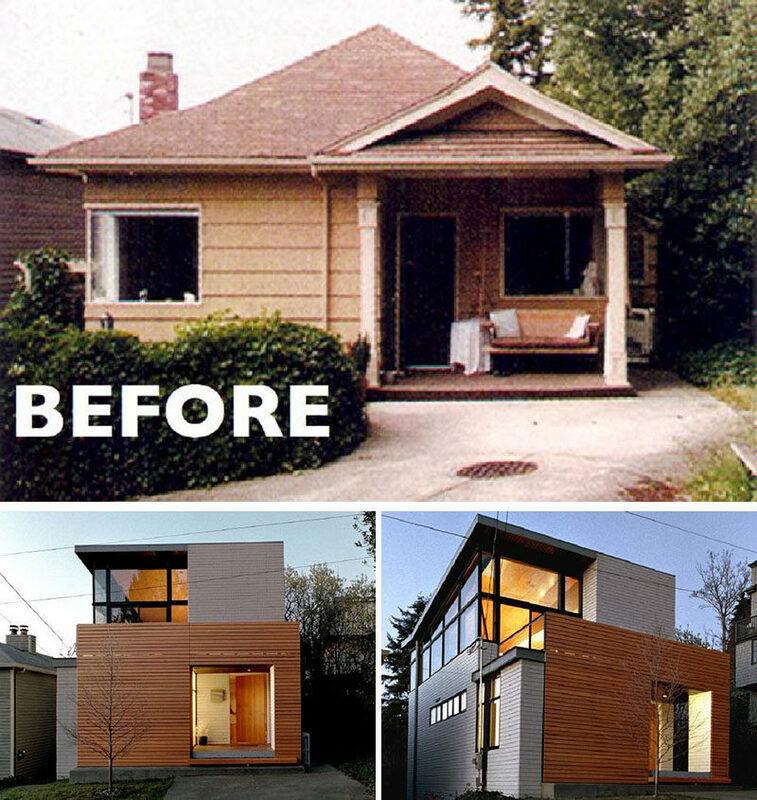 This tiny home added modern wood siding, large windows, and another level to become a contemporary multi-story home. See more photos of this home, here. Designed by Eggleston Farkas Architects. See more photos of this home, here. Designed by (fer)studio. Photography by Jack Coyer. 16. 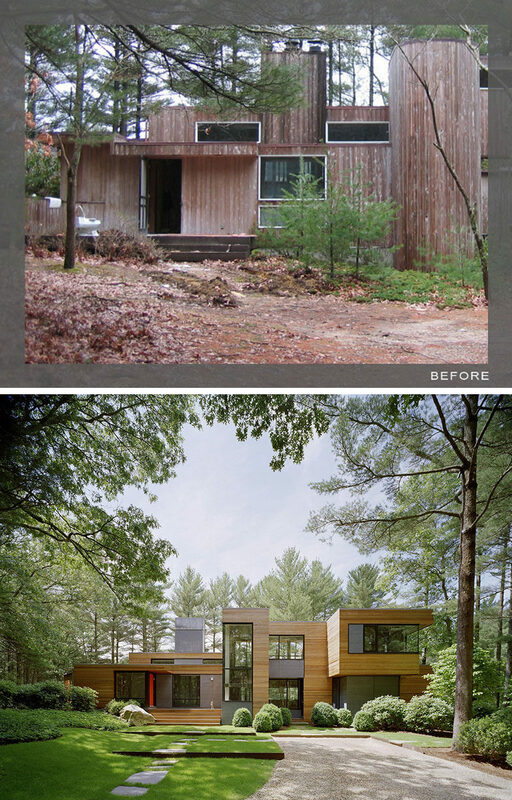 An old abandoned cabin in the woods was rescued and transformed into a modern escape from reality. See more photos of this cabin, here. Designed by Searl Lamaster Howe Architects. Photography by Tony Soluri.